I thought something was funny a few months ago-shelves were not fully stocked and service was not up to snuff. This would be a crying shame. Bummer. I usually only stop by there a couple of times per year because it is out of the way for me, but they have always impressed me with excellent ethnic meat selections. Don't they have another location out in the burbs? Did I see one somewhere on Milwaukee Ave.? I think the other one is where Meyer Delicatessen, formerly on Lincoln closer to Belmont, moved to around 1990. I believe there was no relation between Meyer Delicatessen and Delicatessen Meyer. In any case, too bad, German Lincoln Square is just about gone, except for Oktoberfest. I'm just shattered. How I loved that place. So many memories of going there with my father (now gone) and mother (also gone). We used to go to Kuhn's on Lincoln Avenue at least once a month, and when they closed wound up at Meyers. The visits became less frequent over time, and I guess I would only go there 3 or 4 times a year. Could this be typical of their customer base? 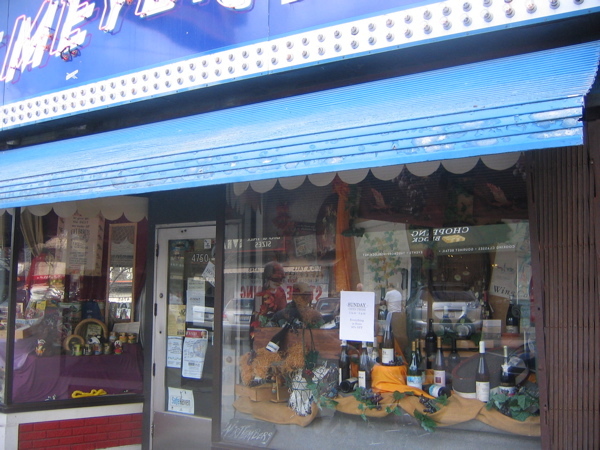 The link mentions the owner possibly alienated regulars with some recent changes. I suppose s/he was trying to generate more business and made the wrong moves. With the growing interest in food in this city, from artisanal cheeses to microbrews to single origin chocolate, you'd think there'd be enough support for the place. Yeah, I suppose there might be other places in Chicago where I can get Appenzeller cheese, Westphalian ham, Nurnberg wurst, frankfurters, mushroom, onion and veal loafs (loaves? 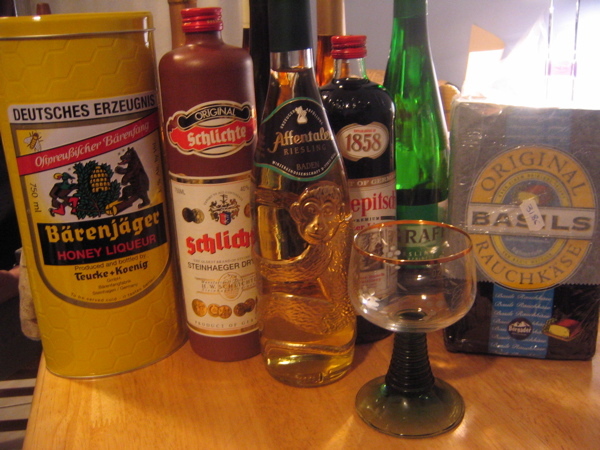 ), Berliner wurst, Niederegger marzipan, Christmas Stollen, heavy and dense sunflower seed studded bread, and 4711 (!).... but it just won't be the same at all, at all. stevez wrote: Don't they have another location out in the burbs? Did I see one somewhere on Milwaukee Ave.? Perhaps you are thinking of Kuhn's which moved from Lincoln Ave. to Deerfield. I stop there on occassion. They still make a heck of a good sandwich. No, it was the whole Meyer Delicatessen/Delicatessen Meyer that had me confused, although I'm not sure there's really all that much difference. I always liked seeing my last name on that big sign. My former roommate used to work at Delicatessen Meyer last year. 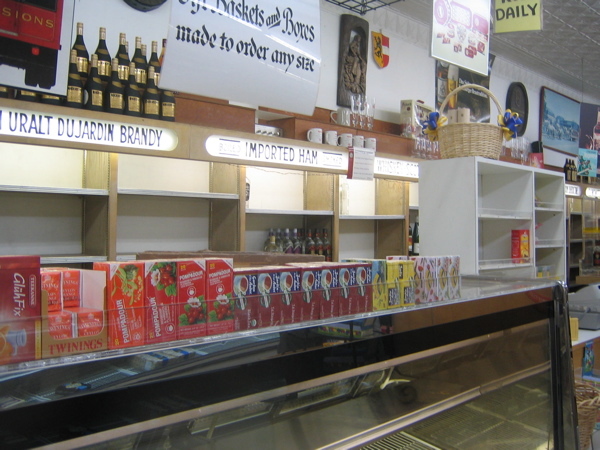 He said Hans mismanaged the place somewhat (last winter he was able to keep so few products on the shelves that he remarked "it's like East Germany in here!") but oh, is it sad to see Meyer go. I can't think of anywhere else in the city that sells kaiserfleisch. Mike Sula has reported Gene's Sausage, a long time Belmont Ave sausage shop and delicatessen, is taking over Meyer's. Good news as Gene's is well run and turns out some damn tasty products. Delicatessen Meyer, Chicago, Illinois "back in the day." This is a series of short (10 to 20 seconds) clips I captured using the video feature of my Canon Elph. Not very good quality, but great fun. When exactly did you take the film clips? Judging from the staff people I see, it's not all that long ago. Still, the crowd and the state of the shelves points back to a time before the decline had set in. Anyway, thanks for posting the links -- it was nice to see the place again in a happier state than it was in when I took the photos posted above. I must say that I can't (yet) share the excitement expressed above regarding the news that the owners of Gene's Sausage Shop will be taking over the old Meyer's spot on Lincoln Square. To be sure, it's good news for the block and the neighbourhood generally that a deli will be there again and that it will be a deli run by people who in a general way should know what they're doing better than the previous owner. But I have some concern about how genuinely German the place (i.e., what they sell) will really be. I love Polish food and shop frequently at Polish delis* but, while there are many items in Polish cuisine that resemble items in German cuisine, in many or most cases there are some differences of detail. I hope the new owners will not just label things that are Polish or made in a Polish style with German names and higher prices, for if they do that, there is no point in going there rather than to one of the several outstanding Polish delis around the area which offer quality Polish producets at remarkably good prices. So then, regarding this news, I will express only a measure of cautious optimism. I think these are from a visit to the store in February 2002. On a whim, we stopped into Gene's Sausage as we were heading West along Belmont on our way to A&G. We were not the only people who made two stops -- I recognized the same people who were being served at the meat counter at Gene's, a half hour later buying produce at A&G. We were pleasantly surprised when we were looking at their wine collection and saw Meyer's labels on the bottles. I thought perhaps they had just bought out Meyer's stock when Meyer's closed -- but of course the post above reveals the new connection! How appropriate and what great news! Gene's on Belmont had a impressive wall of sausages, a great cheese and deli selection, some absolutely lovely looking fresh perogies and schnitzels. We got some homemade veal brats and will report on how they stack up soon. The salads also looked amazing (leek, chicken liver, german potatoe -- all reminiscent of Meyers quality -- perhaps better). There is a decent sized dry goods section with european imports. 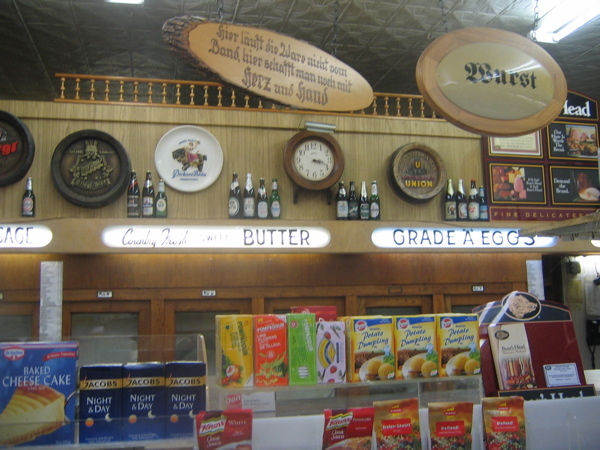 The strengths are the deli/butcher/prepared foods counter that run the length of the back of the store, and the beer, wine and liquor selection. The space is larger than Kurowski or the old Meyers. I do not know if the Lincoln Ave location will have the same amazing prices, the rent must be higher there -- and they won't have the space for the butcher counter or the extensive wine and beer selection. Its worth a trip out Belmont. And as long as you are there, stop at A&G for produce like the locals do. Here is a link to four still photos I shot during the same visit--late January/early February 2002. Mike wrote: Delicatessen Meyer, Chicago, Illinois "back in the day." This is a series of short (10 to 20 seconds) clips I captured using the video feature of my Canon Elph. Not very good quality, but great fun. 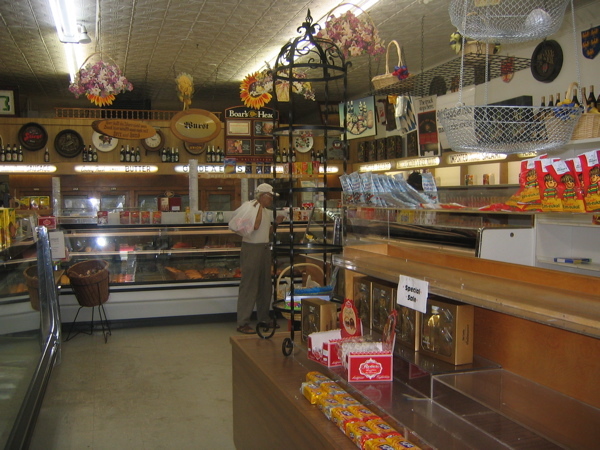 If you are willing to take a drive to Volo illinois, there is a wonderful German Deli , Koenemann's . The Gene's Sausage in the old Delicatessen Meyer space seems close to opening. Signs in the windows have a short history of Gene's and indicate a September opening. Awnings went up recently. A lot of store fixtures are in place including several checkout lanes (no registers as of this afternoon) but no sign of merchandise stocking. I doubt that they will have their package liquor license when they open as the application is dated around August 17. 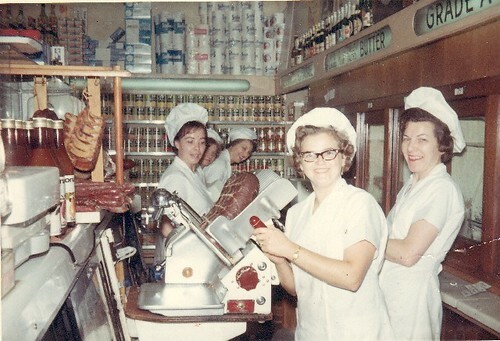 My mom worked at Deli Meyer back in the mid 60's up until some time in the very early 70's. My aunt continued to work there quite possibly into the 1980's. This was back in the day with the original owners. The weekends were packed with people; you could have 20 people ahead of you. It's such a shame to see all of the old German stores close up or move elsewhere. Alpine Deli in Villa Park closed this year; it used to be Heidleberg Deli when it was in Elmhurst. The western burbs still has Bende's in Glen Ellyn on Roosevelt Rd. Bende is Hungarian. My grandmother (from Hungary) is a good friend of the Bende family. 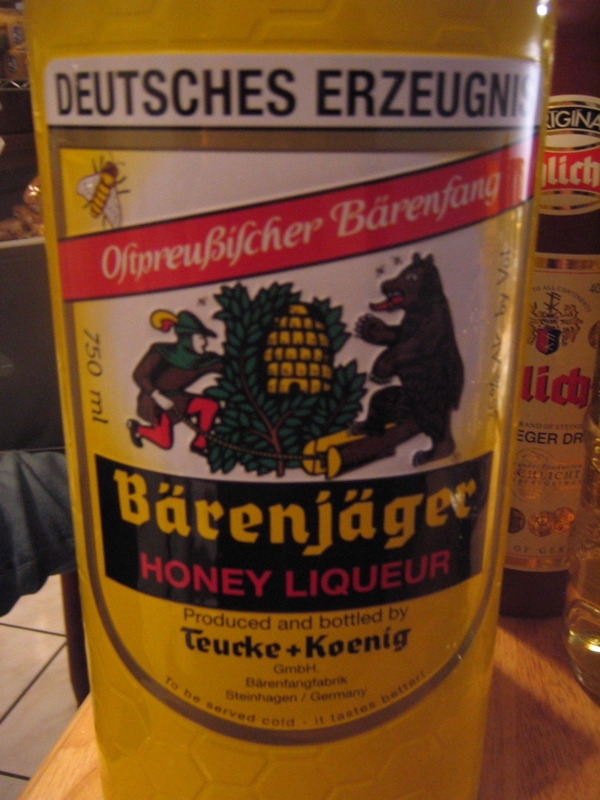 They supply the country with Hungarian dry goods and probably aren't going out of business any time soon. Habibi wrote: Bende is Hungarian. My grandmother (from Hungary) is a good friend of the Bende family. They supply the country with Hungarian dry goods and probably aren't going out of business any time soon. Yes, that's true, but you still get great sausage and imported foods. I tend to lump my European delis together. I mentioned a while back that my mom worked at Deli Meyer. I found this picture while working on a photo blog. It's probably from the mid to late 60's. My mom is in the foreground at the slicer. 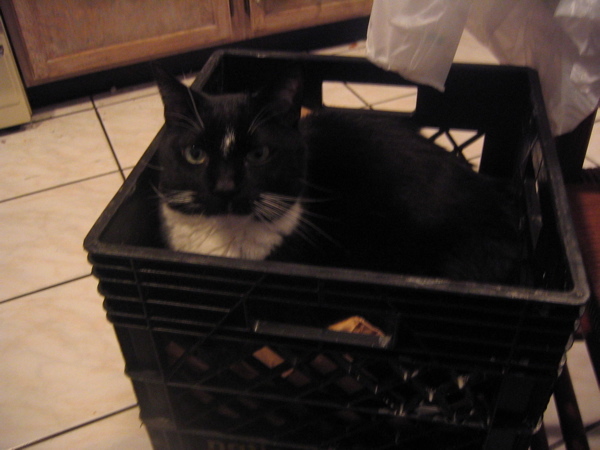 Ms. Ingie wrote: I mentioned a while back that my mom worked at Deli Meyer. I found this picture while working on a photo blog. It's probably from the mid to late 60's. My mom is in the foreground at the slicer. Awesome pic! Thanks, for sharing it. Ms. Ingie wrote: The weekends were packed with people; you could have 20 people ahead of you. It's such a shame to see all of the old German stores close up or move elsewhere. Kuhn's is still running out this way but for how much longer I wouldn't hold my breath on. Sad, but it's a shadow of its old self even on Saturday mornings.